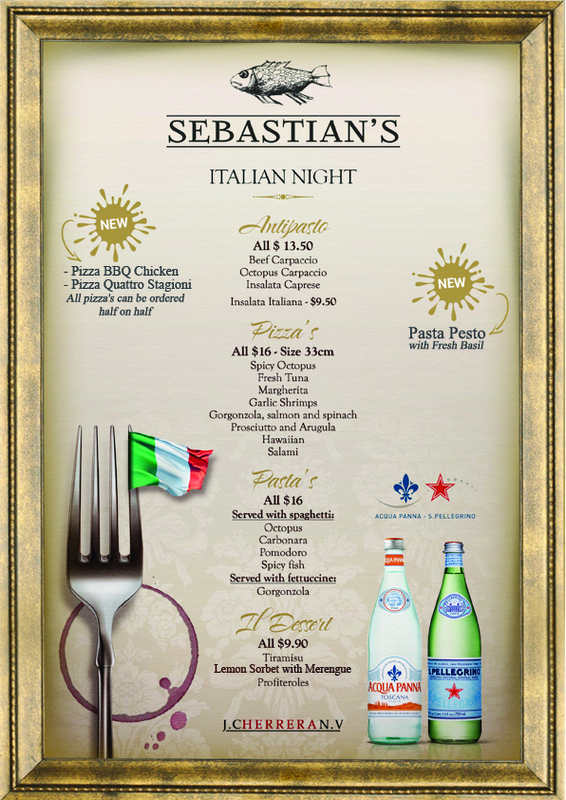 At Sebastian’s Restaurant, everyone can enjoy a Italian Night Menu with traditional Italian appetizers and home-made pizza’s and pasta’s for only $16! This is a moment to re-connect with your family after a busy week and enjoy the cozy atmosphere and a wonderful view together! The restaurant opens at 5:30 PM and reservations are always highly recommended. Take-away pizza is also available; simply phone in your order to +599 717-1697. Pizza’s may be ordered “half-half” as well. Please note that the kitchen closes at 9:00 PM on Sundays. Home-made pizza's and pasta's for only $16. When in doubt, order a half-and-half pizza! Home-made real Italian garlic bread. Absolutely delicious. In our strive to exceed your expectations, we went to great length to select our wines by the glass - Villa Locatelli by Angoras Italy. 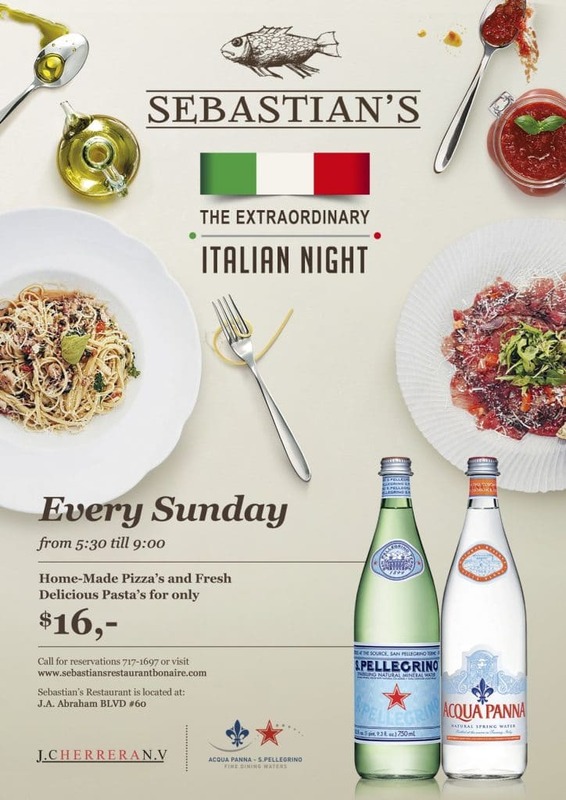 The Villa Locatelli wines pair very well with our menu, and enhance the Sebastian's experience. Malamado Viognier, sweet and fruity. Malamado Malbec, Rich and ripe.